The Bay Breeze is a simple mixed drink that brings a little pineapple into the popular mix of vodka and cranberry found in the Cape Codder. 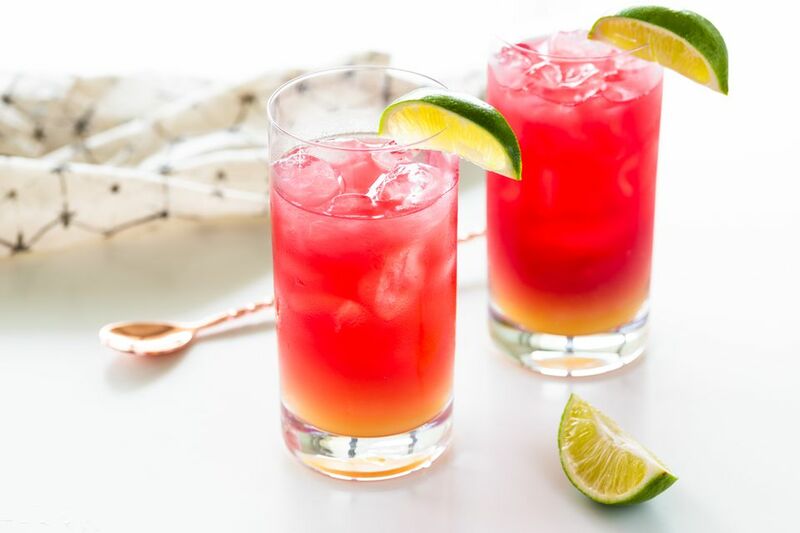 It is an easy, delicious, and refreshing drink that can be mixed up in a minute and is a popular recipe that every bartender should know. Like the other 'duos' and 'trios' that mix vodka with fruit juice, the Bay Breeze is a simple highball recipe. It requires your favorite vodka and equal parts of cranberry and pineapple juices to fill the glass. Despite its simplicity, it packs a flavorful punch and is a fun everyday drink. This drink is also sometimes called a Hawaiian Sea Breeze or a Downeaster. Pour the vodka into an ice ​ice-filled highball glass. Top with equal amounts of cranberry and pineapple juice. You may want to play with flavored vodkas in this cocktail as well. Any of the fruit vodkas are going to add another dimension and experimenting with your homemade herbal or multi-flavored infusions is always a good option as well. Options abound with drinks like the Bay Breeze. Add some sparkle by topping it with soda or a sparkling wine. Make up a pitcher and serve it for brunch or add fun ice cubes with fruit frozen inside.